ProChosen UC30 Mini LED Video Projector has a mini outdoor design and can be charged with power bank as well. You can use micro USB port to change this mini projector using a power bank. You are able to view videos to spend the long boring night on the trip without worrying about the lacking of power supply. Please not that you need an extra MHL adapter or cable to hook the projector to the phones. Also, ProChosen UC30 LED projector doesn’t work with iPhone or Android connection to play videos direction. Important specifications are TFT LCD image system, 16,700 colors, 150 lumens brightness, 500:1 contrast ratio, 480 X 320 native resolution, 1920 X 1080 supported resolution, 4:3 / 16:9 aspect ratio. 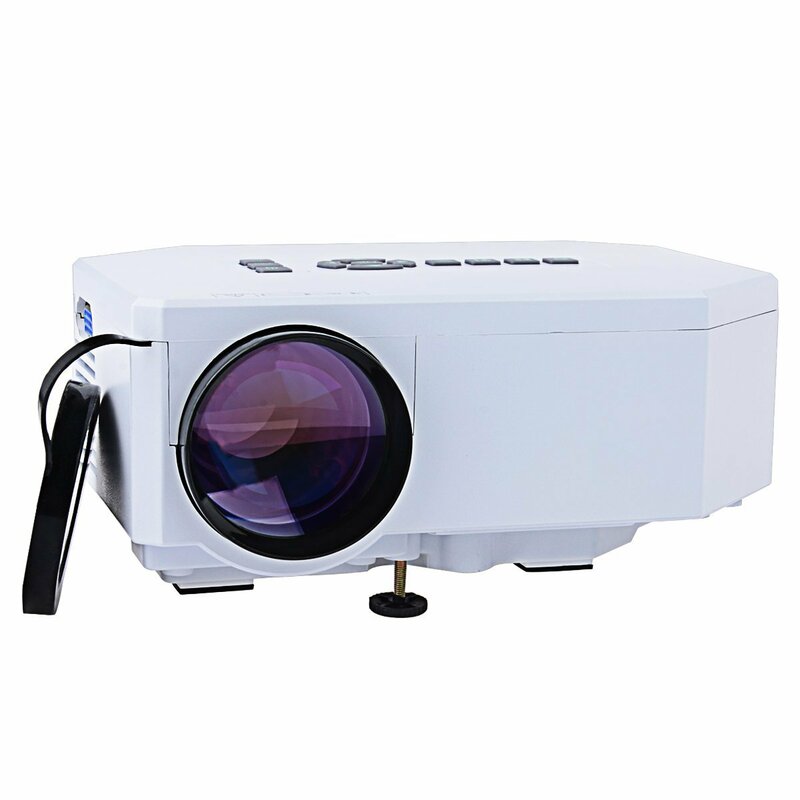 It allows manual operation mode, 1.07 to 3.5 meter projection distance, 30 to 100 inches projection size, front/rear projection model. Input methods are USB, SD, VGA, HDMI, AV, Micro USB and 3.5mm earphone output. It has long lam life of 20,000 hours.